Hello! And welcome to the wonderful world of Batia and Aleeza Hair Salon. We’re located in the heart of beautiful Beverly Hills, right on Camden Drive. Moved from West Hollywood after 25yrs, been here since 2002 and don’t plan on leaving. If you’re looking for a heart-warming, cozy like home, full of love salon atmosphere or just a great cut then you’re at the right place! 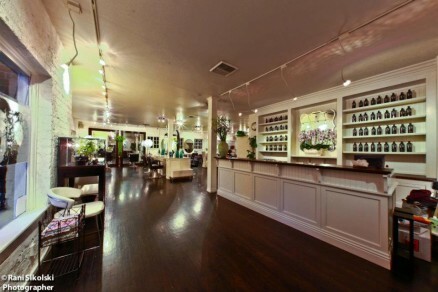 As you step foot into the salon you’ll notice the calmness inside. The mood is peaceful, full of joy, and surrounded by good laughs. We dedicate our time for your needs. . As you will see, the color and washing area is located in the back of the salon. There you will enjoy the soothing hair wash along with the newest of magazines. There’s 10 hair stations, manicure/pedicure table, and 1 make-up waxing. So you can now get all your beauty needs under the same roof. Don’t wait any longer. Give us a call to set up your appointment and take advantage of the sweet deals we currently have going on!